The recovery programs at Advanced Sober Living are focused on the individual, as well as the family dynamic of our home. 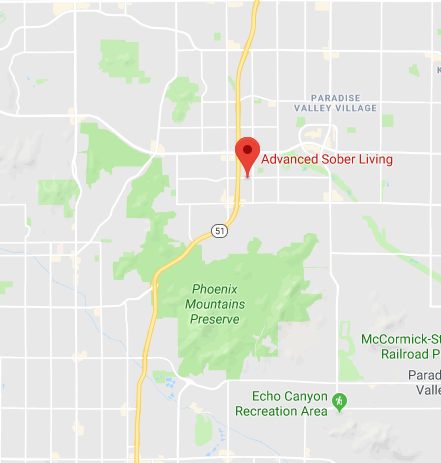 The close living proximity and group accountability we provide offers an experience that you won’t find at any other traditional alcohol recovery center in Phoenix, AZ. Here, the journey to sobriety is one we all face together. In many rehab programs, a person’s entire life becomes structured. They become engrained in a routine that’s devoid of their vices, however that doesn’t always lead to a sobriety without temptation. At Advanced Sober Living, we believe healthy sobriety lies somewhere in between freedom and structure, which is why our recovery program offers both. While recovering you’ll be given the time, tools and support you need to overcome addition. With the help of a sponsor, you’ll begin to explore education or employment opportunities, to help you get back to living a happy, healthy life—one that you’re in control of. In traditional programs for alcohol rehab in Phoenix, AZ, relapse is a sign of failure and something that needs to be hidden. At Advanced Sober Living, we see it as a learning experience. Why did the relapse occur? What caused it? How can this situation be avoided in the future? Asking questions about the relapse instead of dwelling on it helps a person move on and grow stronger. A positive test, admission to usage, abuse of prescribed medications or declining a test are all considered a relapse. While other programs may kick you out after a positive test or relapse, we recognize it as a time when you need help and support more than ever. We help you explore new recovery solutions, to give you every chance at grasping sobriety. Addiction recovery isn’t a one-size-fits-all process or a 1-to-1 solution. It’s complicated and it often has setbacks. The recovery programs at Advanced Sober Living recognize the need for individualized care. We make sure every person is being helped in the way they best respond to, and we approach the journey to sobriety as a group. If you need help in facing your addiction, let’s explore the right recovery program for you. Contact us today at 602-368-3679. We’re ready whenever you are.